Get all the videos in one place as Lyndsay Phillips from SmoothBusinessGrowth and Lindsey Anderson, aka One-Click Lindsey of Traffic&Leads, embark with a glass of wine and talk all things Content Marketing on FBLive each Thursday night at 9pm Eastern / 6pm Pacific. It’s a live broadcast you won’t want to miss! 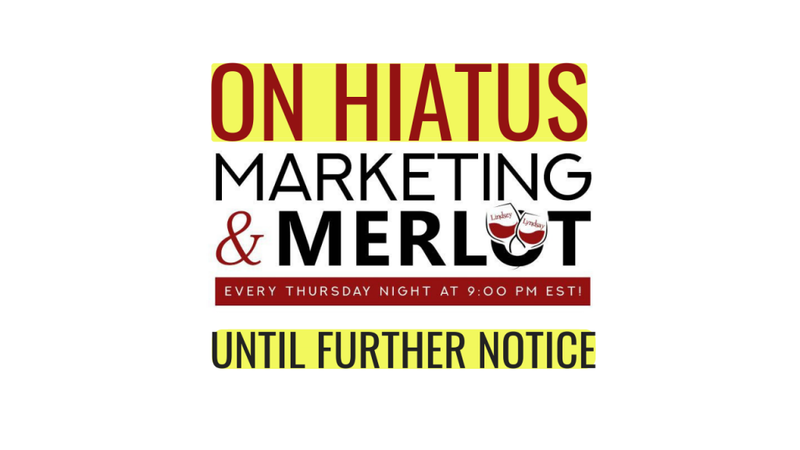 Get your weekly Marketing & Merlot REMINDER HERE. Don’t be a used car salesman – nurture your list the right way to build stronger relationships and convert more customers. Do you know what an irresistible offer is? On this episode of Marketing & Merlot Lyndsay and Lindsey talk about what Irresistible Offers are and what makes them so damn irresistible! Watch it and learn! Are you playing small and not taking bold action in your business to grow faster? Learn what’s holding you back and how to fix your mindset to get past this hurdle and take more bold action in your biz. We have a special guest Melanie Benson – author, speaker, mindset master on this week’s Marketing & Merlot. We took a break from the DBA Event to bring on some special guests from Dream Business Academy! Just some fun and levity after hours. Are you writing your first book or having writer’s block on your 4th? You are not alone. This is why we have invited Book Coach and Developmental Editor Dan Janal to Marketing & Merlot. Here you’ll get some KILLER tips to get the writing juices flowing and tips on how to write your book in a flash! Lindsey and Lyndsay simplify Google Analytics to give you some simple action steps you can start applying right away! Learn what it takes to do a successful book launch that not only gives you best-seller status but also brings you a ton of leads! Join the 2L’s for this intimate conversation where you’ll get the tour… what tour? You’ll see! You are your biggest investment! Learn about ways you can invest in your business with special guest Jim Palmer, Dream Business Coach. He is an entrepreneur, business coach and owner of the Dream Business Academy. Listen in now, as we talk about being a business owner and how you have to invest in your own success. If you are thinking of adding a membership program to your business, or want to grow your membership business faster and increase it’s success – then you do not want to miss this episode with my special guest Scott Whitaker of Membership Multipliers. An amazing discussion on Memberships and the options you have to grow your business. Please join us for the next episode “Memberships Part 2” with special guest Scott Whittaker, the expert membership speaker! This is all insightful information you can use in different ways. We welcome mentor and business coach Jim Palmer on our evening of open topic by candlelight. Get some great insights on what’s happening in the world of Marketing. Get all the info you need to know from Lindsey Anderson about her amazing new book The CLICK Technique and learn things you may not have know… Play along and see if you know the answers too… but remember, phrase it like a question! Learn the secrets Marketers keep to themselves, what goes on behind the scenes they don’t want you to know, the myths and secret strategies you need to know about. Note: please bear with our very short internet issue – Thank you! The topics range from backlinks to Search Engine Optimization and Lindsey’s SEO Challenge! If you’ve never heard of IGTV find out more by watching now. Ever wondered how successful entrepreneurs create, manage and grow a team to scale their business, create massive action and rapid growth? Learn and have fun as Lyndsay Phillips and Lindsey Anderson give you their expert knowledge on the topic on this episode of Marketing & Merlot! Our apologies for the sound issues within the last 5 minutes of the broadcast. What is Influencer Marketing? Should you be using this to grow your business? Our answer would be… YES! Watch now as the 2L’s (Lyndsay and Lindsey) have a truly influential conversation to help you decide how to get it done (see what we did there?). At 500 million people on LinkedIN, how could you not see the potential for Marketing? Lyndsay and Lindsey have a chat about the essentials you need to have updated so you are findable, marketable and approachable. With 2 special guests Steve Fulmer and Judy Johnson Lutz, Lindsey Anderson takes Marketing and Merlot through a journey of lead nurturing (yes, we know there were a few technical difficulties… please bare with us). On this episode of Marketing and Merlot we are talking Entrepreneurial Mindset. It’s such an important part of your success as a digital marketer. Sometimes as entrepreneurs we are swamped in the day to day and it’s hard to get motivated to do sales, create new things for your business, update your site or simply work on your own business. Lindsey and I have an honest talk about how we keep motivated, the slumps we get in and share tips on how to stay motivated to keep your business moving and constantly taking action. Wondering what’s working in email marketing right now? Want to know the best practices to nurture your list, what campaigns are effective for conversions and more? In this episode of Marketing & Merlot, Lindsey and I chat about Email marketing. Learn what a webinar is and how little tips and tricks can help grow your business. Lyndsay and Lindsey answer a lot of burning questions. There are even a few Webinar experienced viewers who throw in extra meaty advice on holding webinars, and how to make the most out of them! Lindsey and Lyndsay talk all about UP SELLS! Hear the best practices to create killer up sells to increase your revenue and boost your sales funnels! Ever wonder what magic makes a sales page convert? Want to know how to test the effectiveness of a sales page? What elements make up a solid, high converting sales page? Whether it’s email marketing, landing pages, sales pages, auto responders, subject lines – you’ll want the best tips on how to make the copywriting WORK for you. When there’s a breach in data, we are all affected. Here’s a marketing perspective with regards to doing business on Facebook in light of the data breach on Facebook. Do you need to know all about videos and how to market them? Then check out this episode of Marketing and Merlot, where Lyndsay Phillips and Lindsey Anderson give you THE go to TIPS on what you need to do. In this episode of Marketing and Merlot, join Lindsey & Lyndsay as they talking about podcasting (as a guest and as a host). Podcasting is a super valuable online marketing technique that can drive sales, make connections and change your business (regardless of your niche or avatar!) Find out more about this ninja tactic and how you can easily implement this strategy into your business. Is your brand really consistent, or do you know for sure? Find out what it means to be branded, tips to ensure your content marketing is on brand and why it will help attract ideal clients faster. Learn all about Sales Funnels (including lead magnets, auto responders, upsells, behavioral tracking and more!) 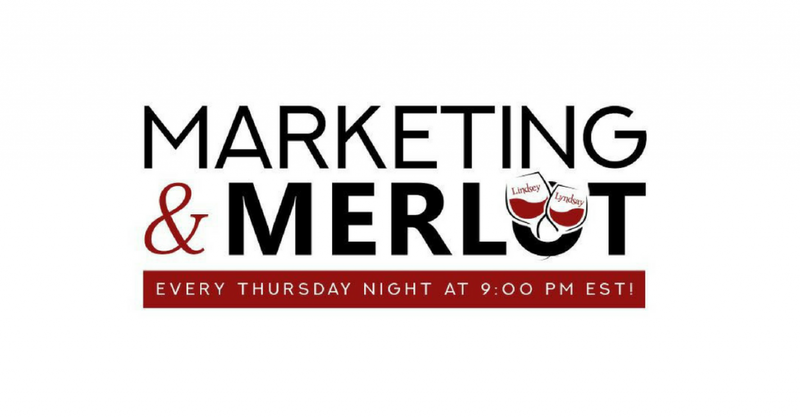 in this episode of Marketing and Merlot with your hosts Lindsey Anderson and Lyndsay Phillips. What is a Landing Page and why do Landing Pages work? Find out what Landing Pages can do for your business and how to optimize them. Learn all the tips and tricks as we delve into the possibilities of how Facebook Groups can help your business grow, not only by running one, but joining some as well! How can you make your Instagram account really stand out? Find out from the best on Marketing & Merlot! We are joined this week by Tim Sohn, of Sohn Social Media Solutions to talk all about Facebook Engagement. Can you really predict what’s going to happen in the online world? Watch and learn how the ladies feel about where things are headed. Do you ever get stuck writing a blog? Here’s what Lindsey and Lyndsay have to tell you about Blogging. Do keywords have you confused? Don’t be, as you hear Lyndsay and Lindsey talk about the best ways to find them and utilize them to grow your business. Do you ever want to launch your own products? Learn from the best as Lyndsay and Lindsey talk about product launches with expert guest Adam Hommey. You want to get the best strategy on how to do your own Facebook Ads? Here, experts Lyndsay Phillips and Lindsey Anderson tell you what works best for the busy entrepreneur. Are you struggling with Social Media Strategies? Lyndsay & Lindsey talk all about Social Media Strategies you need to know NOW! Enjoy. Do you outsource, or have you thought about doing it? Here we talk about advantages and disadvantages of outsourcing certain tasks for the busy entrepreneur. The inaugural introduction to this online endeavor by Lindsey Anderson and Lyndsay Phillips. Welcome to the inaugural episode (to the soon to be named Marketing and Merlot) where Lyndsay Phillips and Lindsey Anderson teach you all about Content Marketing and driving your business through higher Traffic & Leads. Grow your business each week with these amazing tips!